Nowadays argan oil is one of the most trending topics throughout the world. Argan oil has been used in a lot of cosmetic and hair products, this is due to its amazing properties. However, argan oil has been used since ancient times for healing, enhancing beauties and to cure skin issues. Argan oil is native to Morocco, it is made from the nuts which are found inside the fruit grows on the argan tree. However, argan oil is not cheap, this is because it has been made with the hand and its manufacturing process takes time. But still numerous people buy it, this is due to its amazing properties, with the help of it you can have better hair health. But if you can not afford to purchase an argan oil, then do not worry, you just have to buy a oil which is 100% argan. That will be enough for you to gain amazing benefits from it. You should use argan oil because it has important nutrition and vitamin, which can be beneficial for you. Argan oil is rich in vitamin A, C, and E, also it is packed with an antioxidant, omega-6 fatty acid and linoleic acid. These nutrients will boost your cell production, which will result in having healthy, smooth and strong hair. In fact, argan oil has been used in numerous hair clinic for hair treatments like to prevent hair fall, hair regrows, dandruff treatments etc. 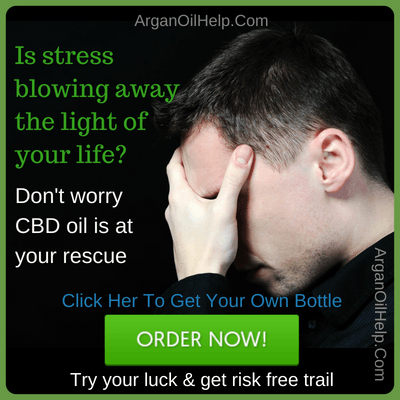 Here in this post, we will see if you can use argan oil for the hair health. Just take a few drops of argan oil in your palm. Run your hand all over your head, apply it from root to top of your hair. Make sure that the oil is reached to your scalp. You do not need to wash it off, just leave it like that for the better result. Some people gain quick result from argan oil and some people take little time to gain benefit from it. But everyone does gain benefit from it, daily applying argan oil on your hair will make your hair shine and gloss. Also, your hair will become softer and more manageable, with the help of argan oil. If you have a curly hair then you must be having a hard time managing your hair. However, with the help of argan oil, your hair will become more manageable and better looking. For a better hair, take a few drops of argan oil in your palm and apply it on your hair tip to root. Then squeeze your hair gently with a microfiber towel, this will make your curly hair more defined and manageable. Exposing your hair to the sun for a very long time is not good for your hair and scalp health. The UV rays that come from the sun can damage your hair follicles, this can lead to hair fizzy hair. Thus, you should apply argan oil on your hair before going out in the sun, it will protect your hair from the sun. You can swim without worrying: although swimming is great for your health however it can be bad for your hair health. Swimming pools are filled with chemicals like chlorine and seawater also contains salt, which can damage your hair. Thus, you should apply argan oil on your hair, before you go in the water, take a few drops in your palm and apply it on your hair. Make sure that you have applied it from root to tip, this will lock the moisture in your hair. Once you are done with swimming, wash your hair with the conditioner. After washing your hair squeeze your hair gently with a microfiber towel. Then apply argan oil on your hair root to tip, use wide tooth comb or your fingers to comb your hair. Avoid using a hair dryer, because its heat can damage your scalp. Dandruff is a very common issue, the majority of people suffer from it, dandruff can make your hair and scalp health bad. Although there is no permanent solution for dandruff, with the help of argan oil, you can eliminate dandruff. This is because argan oil is high in vitamin E, antioxidants and fatty acids, they are very helpful in fighting with dandruff. Take a 4 to 6 drops of argan oil in a small container. Lukewarm it for 2 to 3 minutes. Massage your head gently with warm argan oil for few minutes. Leave t for few nights or for the whole night. For better result do it twice a week. It is very hard to maintain proper hair and scalp health due to dust, pollution, weather etc. But with the argan oil, you can achieve healthy and strong hair. It is used to make hair and cosmetic product, which are used throughout the world. NextWhere Does Argan Oil Come From?